Canada has just launched a National Action Plan to combat human trafficking. The plan was launched by Vic Toews, Minister of Public Safety, Rona Ambrose, Minister of Public Works and Government Services and Minister for Status of Women, Steven Blaney, Minister of Veterans Affairs, and Member of Parliament Joy Smith. Canada’s National Action Plan, with participation from 18 federal departments, is a comprehensive blueprint to guide the Government of Canada’s fight against the serious crime of human trafficking. “With the launch of this national action plan, our Government is taking another important step to ensure the safety and security of women and girls across Canada who are being targeted for sexual exploitation by violent traffickers,” said Minister Ambrose. “Our Government is increasing law enforcement and support for victims of human traffickers who include street gangs that are preying on our youth,” said Minister Blaney. “The National Action Plan will consolidate our Government’s ongoing efforts to combat human trafficking and introduce significant new initiatives to prevent human trafficking, identify victims, protect the most vulnerable, prosecute perpetrators, and build on our partnerships both in Canada and abroad,” said Member of Parliament Joy Smith. 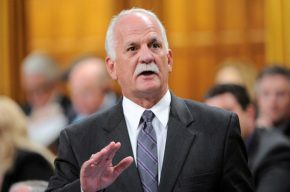 These new measures totalling $25 million over four years build on and strengthen Canada’s significant work to date to prevent, detect and prosecute human trafficking, such as targeted training for law enforcement officials and front-line service providers, and enhanced public awareness measures. To date, the RCMP is aware of 23 cases in Canada in which human trafficking charges were laid and the accused have been convicted of human trafficking and/or other related offences. Forty-two accused have been convicted in these cases and 56 victims have been saved from the hands of the traffickers. Currently, approximately 59 Canadian cases involving 98 individuals accused of human trafficking offences remain before the courts. These cases involve a total of 147 victims. To view the National Action Plan online, please go to: http://www.ps-sp.gc.ca.